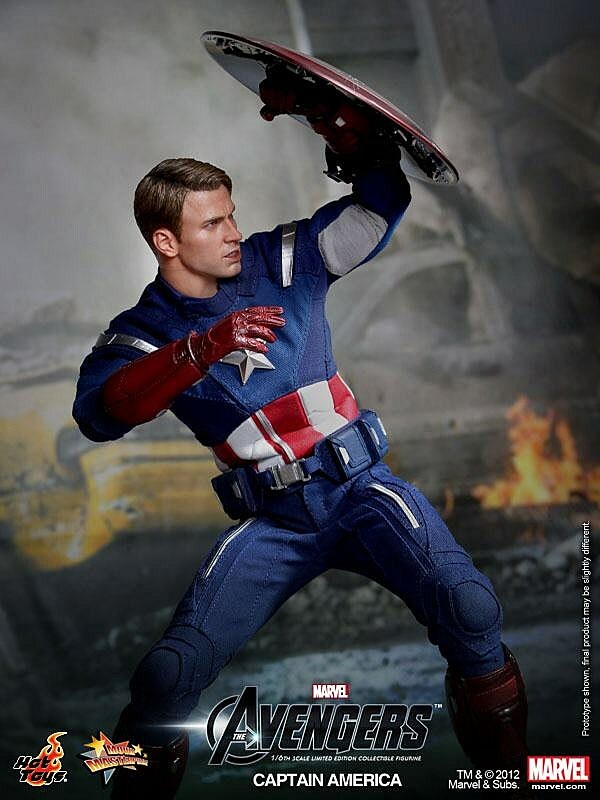 With just two weeks left until The Avengers movie opens in theaters, Hot Toys has released images of its 1/6 scale Captain America action figure. 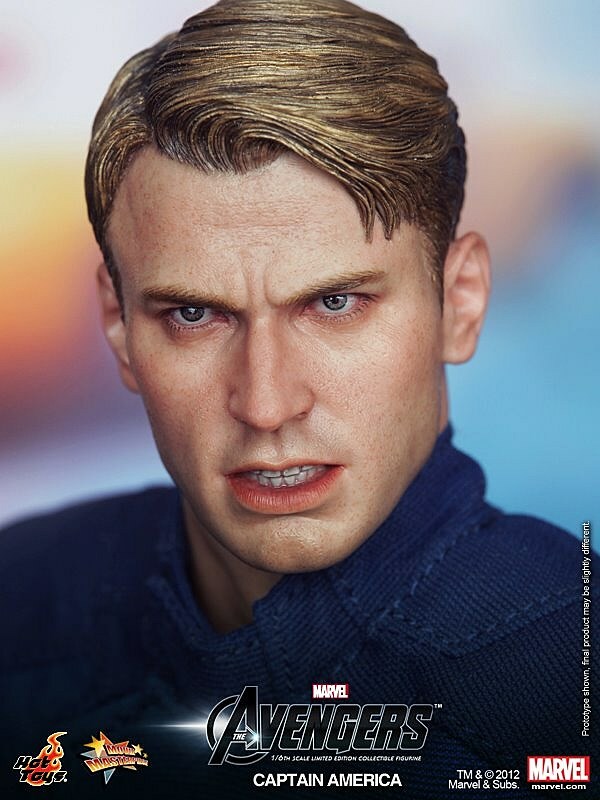 Sporting the likeness of actor Chris Evans, this Cap joins Nick Fury and Hawkeye in a line that will eventually include new versions of the full team (Hulk, Thor, Iron Man Mark VII and an updated Black Widow). 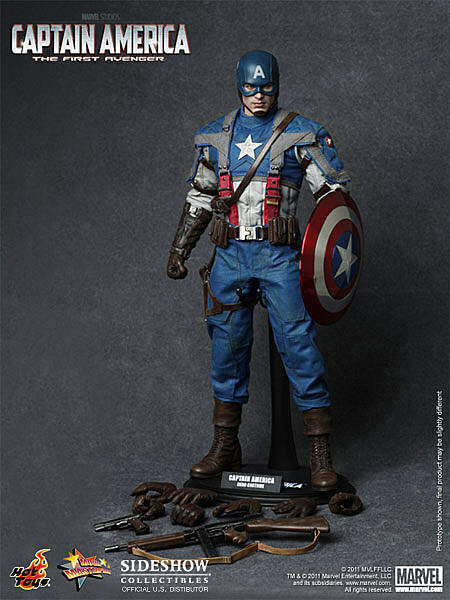 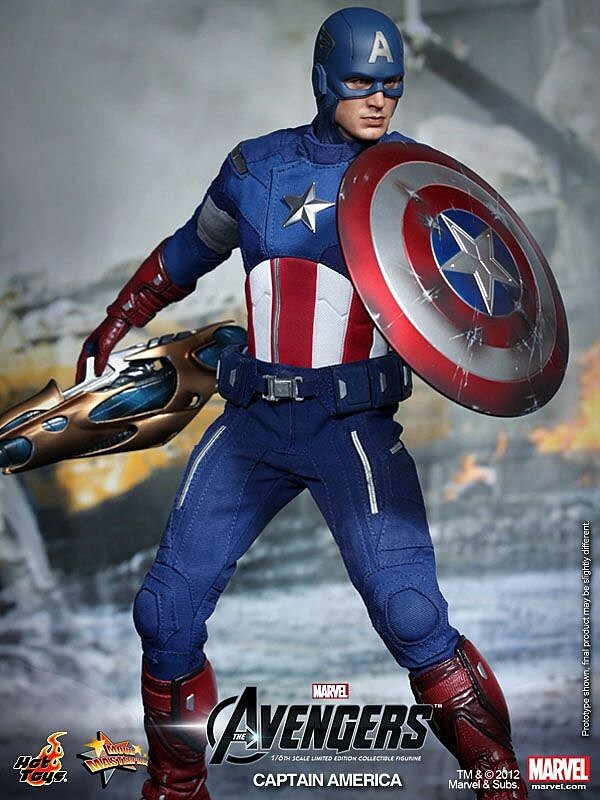 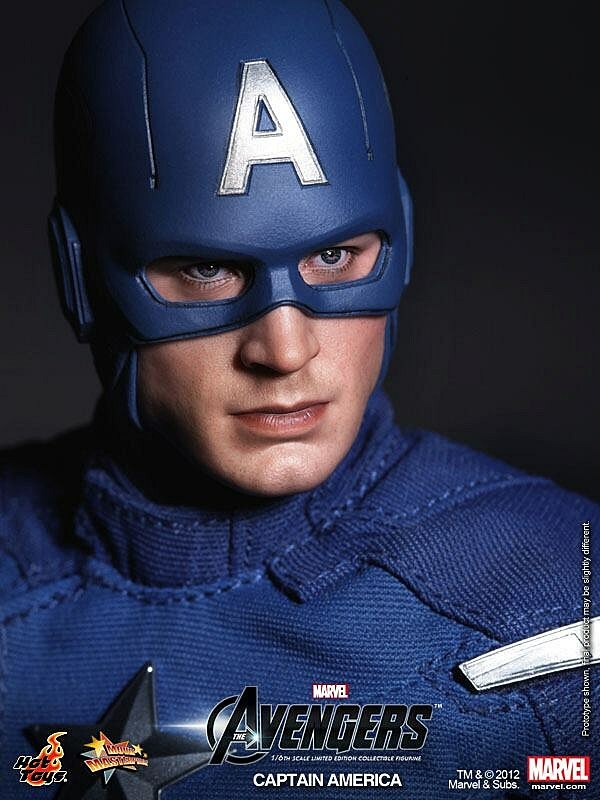 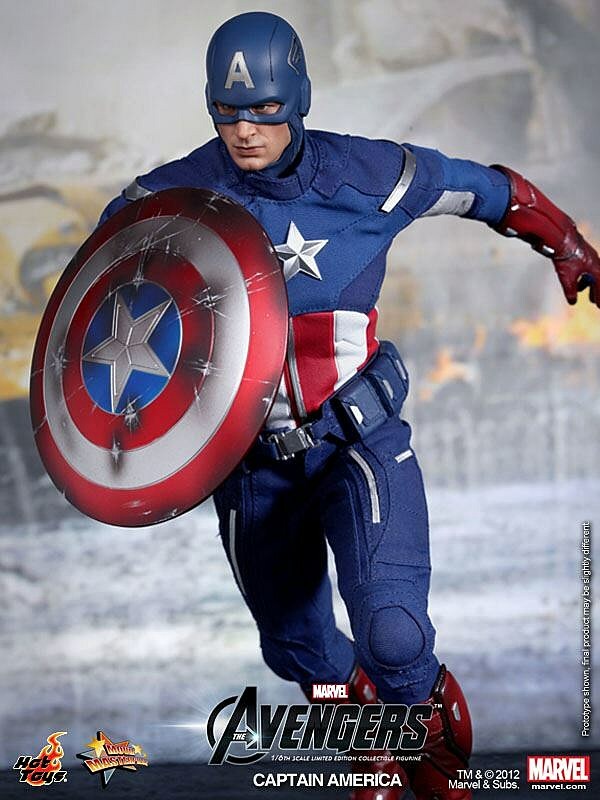 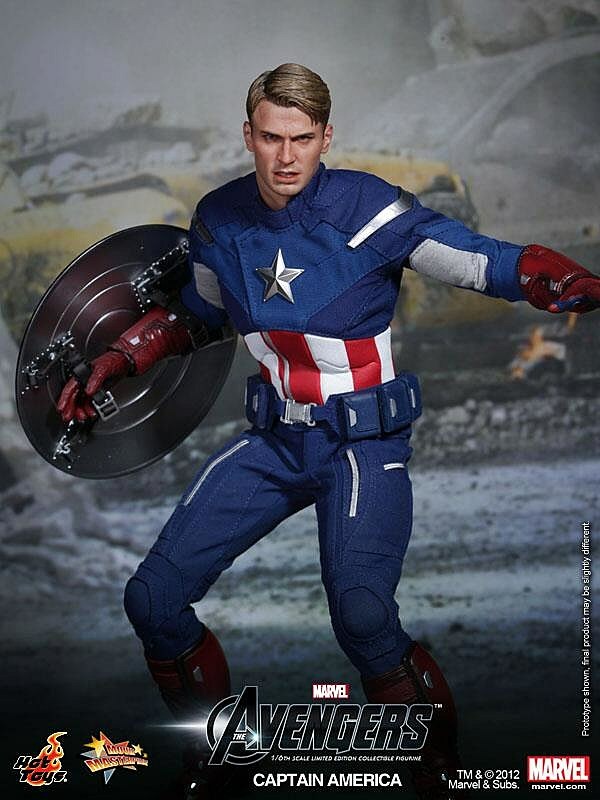 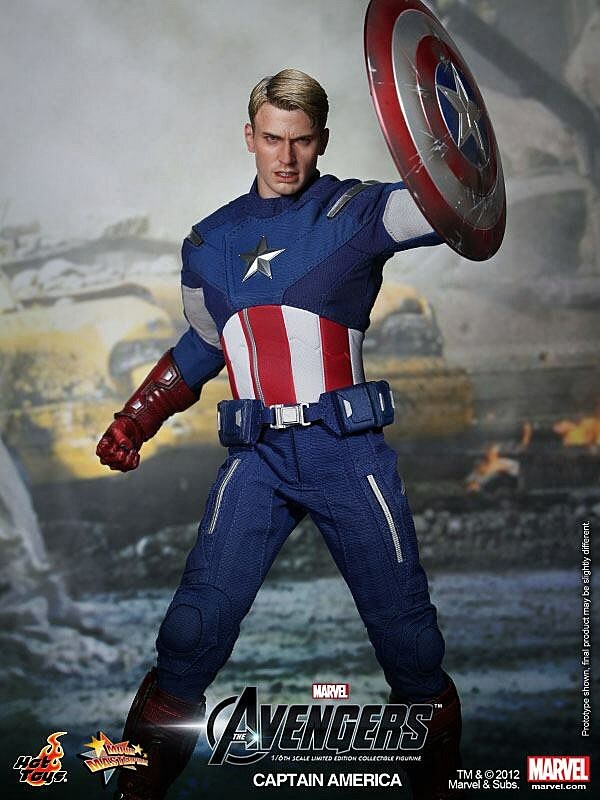 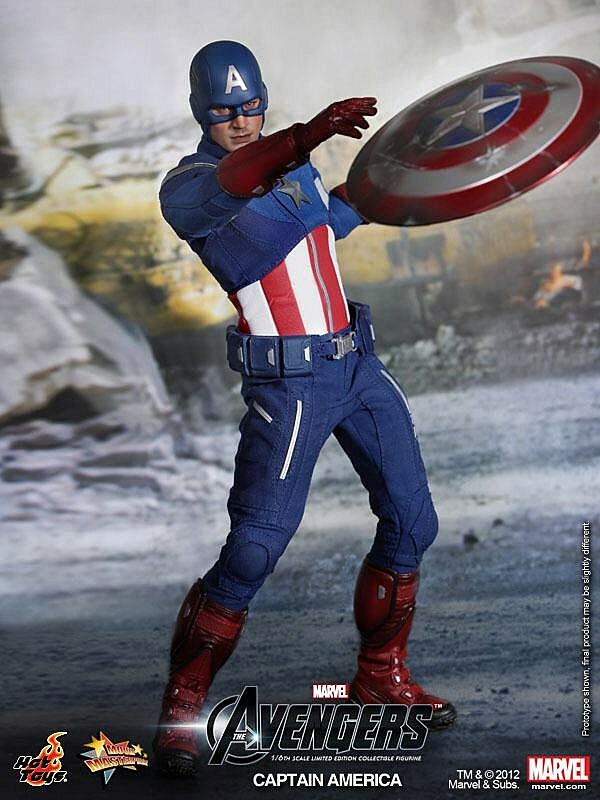 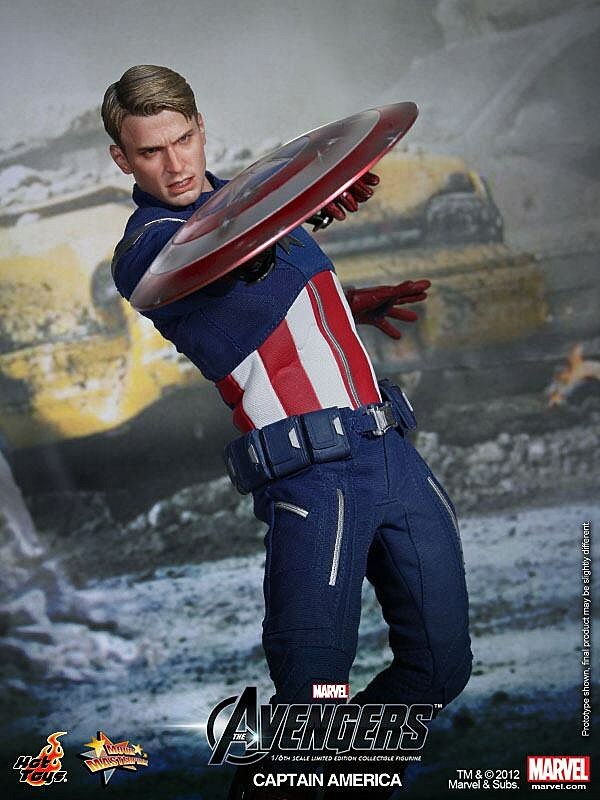 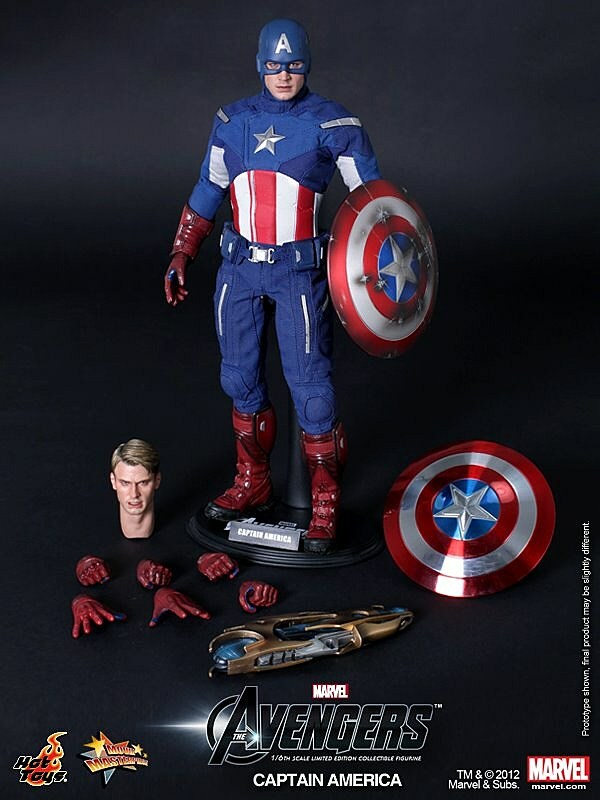 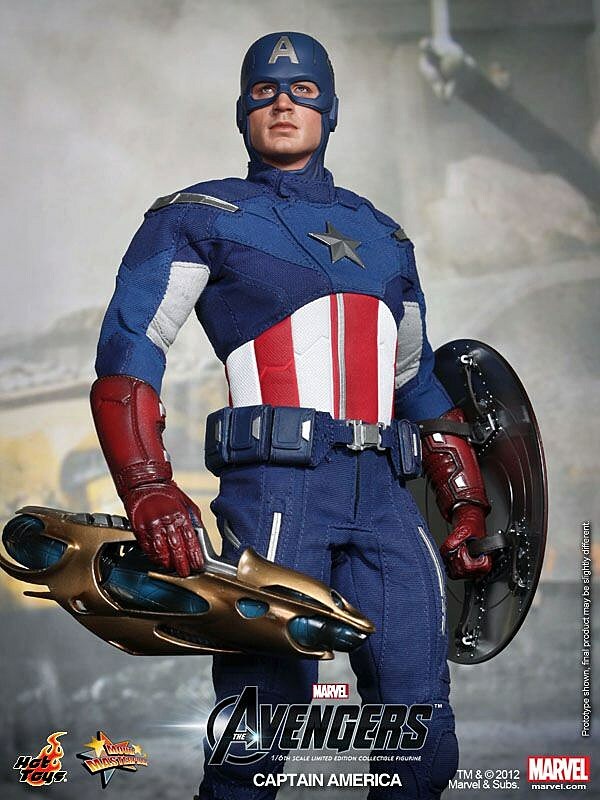 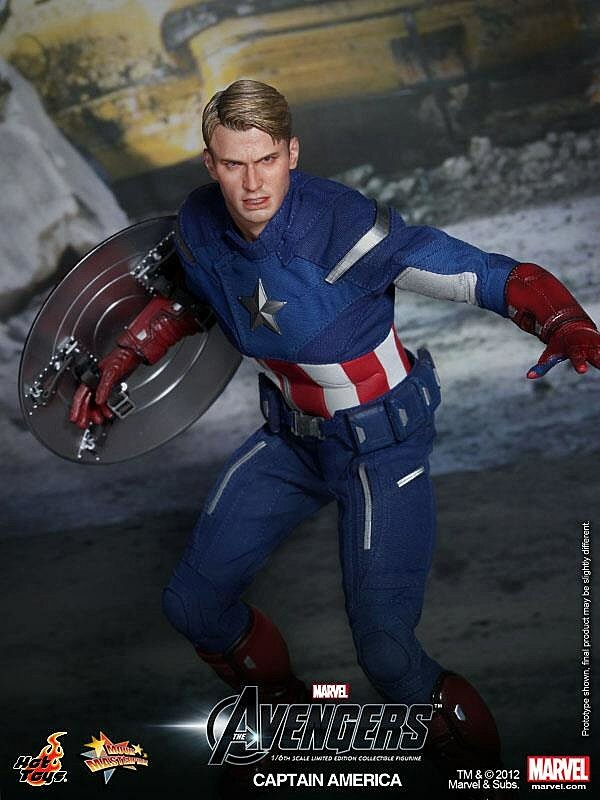 Suitably updated from Hot Toys' The First Avenger version of Cap, this figure includes an all-new sculpt, costume and accessories. 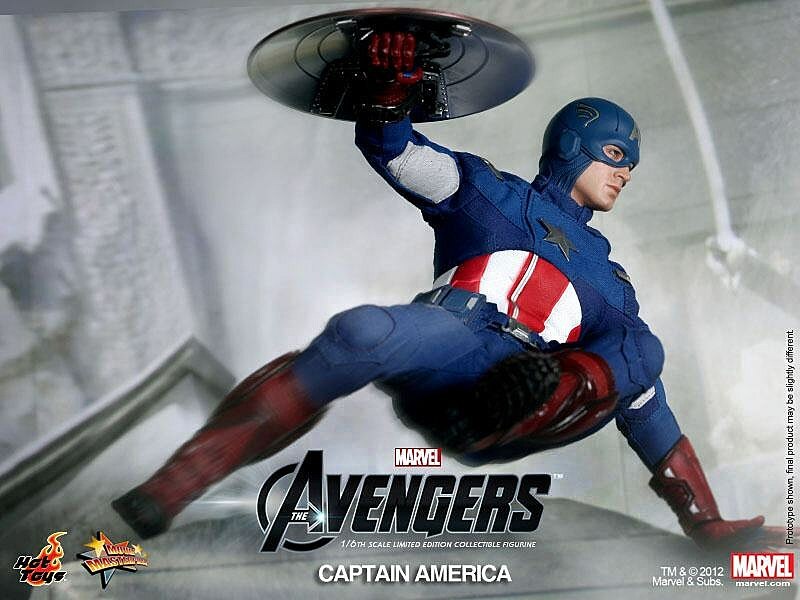 It's a little bit weird to see Cap toting around one of the guns used by Loki's army, but it's a nice touch considering how many alien monster guys he's likely to disarm with one of his two (one shiny, one scarred) flying shields. 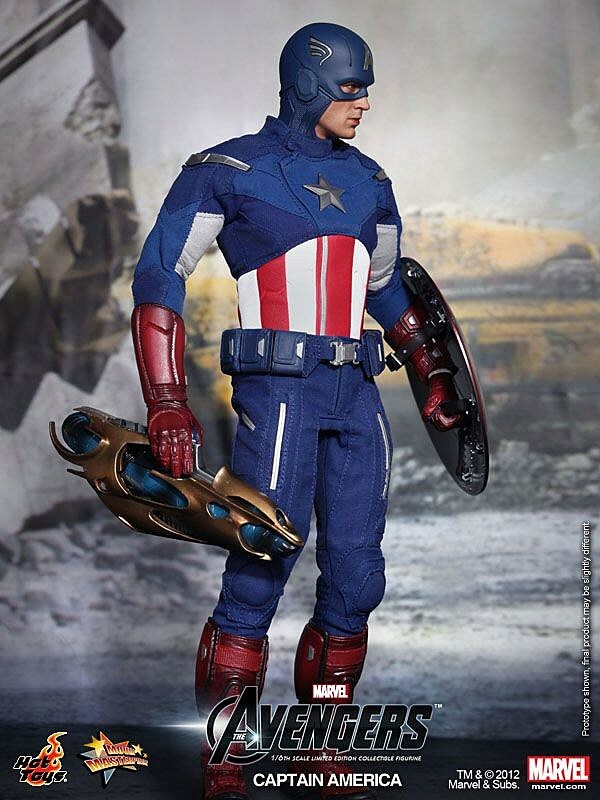 Pricing info isn't available just yet, but if other HT Avengers figures are anything to go by, fans can probably expect to shell out $170-190 or so for this detailed super soldier. 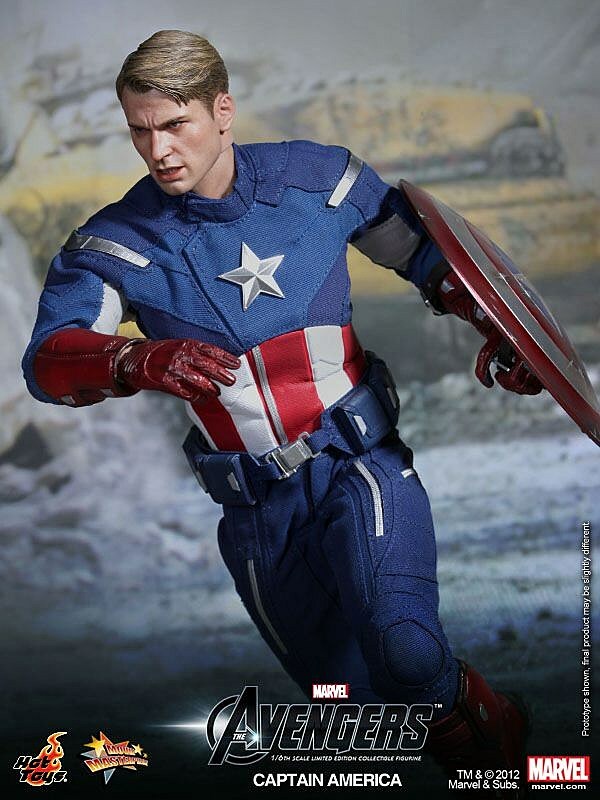 You can scope out more shots of Captain America's 1/6 scale Hot Toys figure from The Avengers line after the jump.